Looking for a new book for yourself or your child? 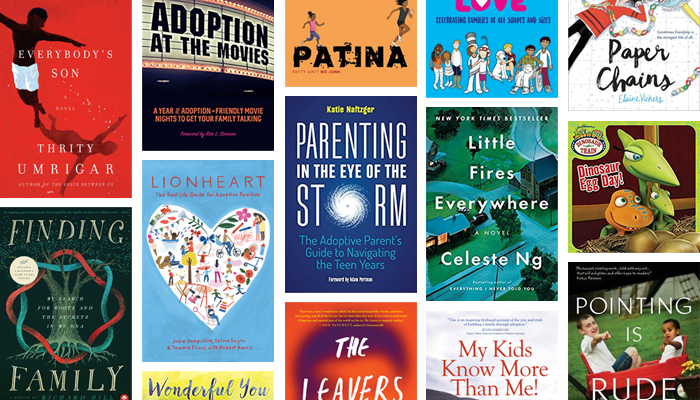 Look no further than Adoptive Families' annual roundup of new memoirs, novels, children’s and teens' books, and non-fiction with adoption storylines or themes. Adoption found its way into dozens of new books published in 2017, including several literary award winners and high-profile bestsellers that engage with and question adoption in complex and sometimes challenging ways. "Finding Peace Through the Adoptee Community"
Eleanor Sweet, adopted as a baby, is pursuing an adoption .. Looking for your next great read? Check out our editor-curated ..